Feel the arabic aesthetics of our Polo Club suites. The furniture is made of fine wood carvings which express luxurious Arabasque tradition. In-bath Jacuzzi ideal for relaxation after a long flight, to bubble away your stress and steam your muscles into rejuvenance. This tour is a bonanza of visual extravagance. 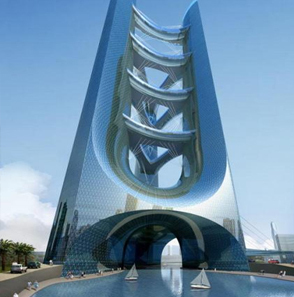 It unveils the stunningly optimistic face of modern Dubai - the city of innovation. Allow your camera to capture the opulence of Burj Al Arab - the tallest hotel built from the sea. Drive past the unique Palm Island and see more of Dubai's modernity... Zip through the trendy Dubai Marina, Internet City and Media City... Drive through Emirates Hills, a picturesque venue of posh villas and lush greenery...past the Emirates Golf Club, a symbol of luxurious leisure. Finally, strike rich! The Gold and Diamond Park offers designer jewellery at reasonable prices-indeed, a splendid finale! Desert Safari is a must if you want to experience desert life. Go dune bashing on a heady four-wheel-drive across sand dunes...shrieking with delight against the golden sunset. Then relax on cozy carpets and cushions, savoring Arabian coffee and fresh barbecue dinner of Continental and Oriental dishes. Live Our player and bewitching belly dance complement an authentic Arabian extravaganza. And... don't forget to take home a souvenir - picturing the falcon on your shoulder, a henna tattoo or the lingering taste of shisha. Feel at home in the heart of the desert. Dinner is included on this program. Dubai is one of the world's best-known Shoppers' Paradise. Indulge yourself... 'Shop till you drop'! Our shopping tour takes you to fine shopping malls like Bur Juman, Al Ghurair and Deira City Center. If you are looking for the best buy in Electronic goods, Al Fahidi Street is the place. Naif Souk presents a plethora of colorful textiles, where you may perhaps strike a good bargain. Dubai is rightly called the 'City of Gold'. Visit the Gold Souk! Take a good look at the impressive range of local and international designs. They aren't selling at the price of peanuts, but you can buy quality stuff at competitive, tax-free rates. Rest of the day at leisure . Check in early!!! There's lots to shop at Dubai Duty Free!!! 1. 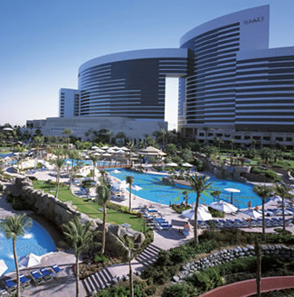 3 nights accommodation with daily breakfast at Marcopolo hotel Dubai 4****. 2. Dune bashing safari with dinner an belly dance. 3. Half day Mall tour. 6. Visa fee for Dubai 96hours. Extras you will have to budget for as they are not included. This is a quotation only. No booking being held at this time. All prices are subject to confirmation. 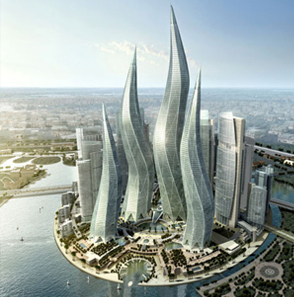 Climate: Dubai has a sub-tropical, arid climate. Rainfall is infrequent and irregular. Falling mainly in winter, it amounts to some five days a year. Temperatures range from a low of about 50 degrees Fahrenheit to a high 118 degrees. The mean daily maximum is 75 degrees Fahrenheit in January rising to 105 degrees Fahrenheit in July. Local time: Dubai Time is + 4 Hours GMT or 4 hours ahead of the Greenwich Mean Time. GMT is used for all 24 of the world's time zones. Dubai lies between 55° 16 East and 25° 16 North. Language: The official language is Arabic, Arabic and English are commonly used in business and commerce. Hindi and Urdu are also widely used. A trip to Dubai transports you on a journey through time. Although the early history of the area is not very well documented, archeological discoveries suggests that, as long as four thousand years ago, small fishing communities lived along the coast of the Arabian Gulf on the site of modern Dubai. It is also believed that the natural sheltered harbor afforded by the Dubai Creek was a busy port of call on the ancient trade route between Mesopotamia and the Indus Valley. In recent years, archeologists have unearthed hundreds of artifacts, including pottery, weapons and coinage that point to civilized settlements dating back to the third millennium B.C. Dubai is really two Cities, Dubai and Deira. Divided by the Creek, they are a paradise for sightseeing and both have their unique characters. You will be amazed at the diversity of architecture and cultures to be found here, ranging from traditional Arab houses to magnificent modern towers of steel and glass. The Creek is the main artery of Dubai, winding inland from the Gulf for about six miles. On its clear waters you will see traditional teak trading dhows plying their trade across the Gulf, heading as far as India. At night, the waterfront is a hive of activity, as Abras, the local water taxis, crisscrosses the Creek carrying people to their chosen restaurant or attraction for the evening. Money Exchanges - Most currencies can be freely converted in Dubai and you will find money exchange companies all over Dubai. Exchange houses are open from 8:30 to 13:00 and 16:30 to 20:30. One US dollar equals 3.65 UAE Dirhams. Credit Cards - All major credit cards are accepted in Dubai, including Visa, MasterCard, American Express, and Diners Club etc. Most establishments accept credit cards, though at some of the smaller ones you will get slightly better prices if you pay in cash. Business Days - All Government offices are closed on Thursday and Friday. Many private sector companies however have their weekend on Friday and Saturday. Shops and supermarkets are open seven days a week, though on Fridays they start business after the afternoon prayers. All Government offices are closed on Thursday and Friday. Many private sector companies however have their weekend on Friday and Saturday. Shops and supermarkets are open seven days a week, though on Fridays they start business after the afternoon prayers. Banks - Most international banks have branches in Dubai, servicing the usual retail and corporate segments. Transfers can be made easily as exchange controls are virtually non-existent, and the Dirham is freely convertible. Banking hours run from 08:00 to 13:00 Saturday to Wednesday. Some are also open from 16:30 to 18:30. On Thursdays banks operate from 8:00 to 12:00.